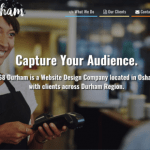 Your Task Is to Choose a Toronto SEO Company? Hi and welcome to the Green Genie SEO website and thank you for taking the time to visit. I am going to assume that you are a business owner. Listen, I don’t envy the position you are in right now if you have come here in the attempt to find someone to handle your online marketing. It has to be a very difficult task to sort through all the options available to you when you start out to get the job done! All of the digital marketing websites you could visit generally say the same thing and how are you supposed to be able to discern which one of us has the skills necessary to take your business where it needs to be in the coming years. Tough choice. Honestly, my advice…….pick up the phone and talk to myself and several of my competitors and ask lots of questions. Here….. go ahead and call me 905-233-2488. There will be no pressure, I promise. I believe that you will make a far more informed decision if you actually listen to what a number of people who practice this craft say and look at their proposals then you ever will reading what we have to say in the body of our website content. Half of the reason for that is because a good portion of the content on SEO websites was written to try to impress Google’s robot that scans our site then it is to help you be more informed. The other half goes back to why I don’t envy the choice you have been confronted with! You really don’t have a choice going forward as to whether or not you are going to pursue digital marketing or not. For most businesses, you will either make that choice, or you will not survive your competition who does make that choice. Those who make that choice early also have a distinct advantage. Once their position is established in the search engine results it makes getting on top of them even more difficult. It’s just the way Google’s score calculations work. A top position in the search results plays by a different set of rules once established. It takes less work to get there then it does to remove someone once they have arrived. Choose a Toronto SEO Firm. Don’t wait another year because of choice paralysis! Make a decision and choose someone to hire within the next 30 days. Go ahead….do it….you will eventually kick yourself if you don’t. Don’t be the person 10 years from now that wishes they could go back a reason with the person you are now and talk some sense into yourself. There really aren’t any absolutely wrong decisions in this arena. Even if the 1st company that you choose does not get you 100% of the way to the goal line, they will build a base upon which the next choice of company you work with can build upon. You have to do this eventually so stop procrastinating and choose! If you think I am wrong, ponder this question. Would you rather be right…….or successful? Those who choose wisely now will be the future business leaders in their industry! 1) TV, as you know it….is going away! 2) Newspapers….as they once existed are done! 1) Choose a company that will let you talk to a few previous clients. I will provide that for you. Make sure others will too! 2) Don’t let a company whose flagship product is web design do your SEO or any other digital marketing. They may be competent but there is a very good chance they have diluted their talent pool to try to be good at both and that is not a good idea with the level of competition that exists in this marketplace today. 3) Don’t choose from a series of “packages” with fixed prices. If the offers made to you through proposals are not customized then the people making those offer know not what they are doing. Guaranteed!!! 4) Don’t buy on “best price”. Likely the best option will be one of the choices in the upper middle range of the offers. Here are a couple of examples of reasonable prices for a monthly SEO campaign in Toronto by industry. - Personal injury lawyer $7,000 - $20,000 per month depending on the range of add-on services. Think that these numbers sound outrageous? Watch this video where I breakdown the real value of these numbers and be shocked at how affordable they are from a “Return On Investment “ stance.